WPW029878 WALES (1929). 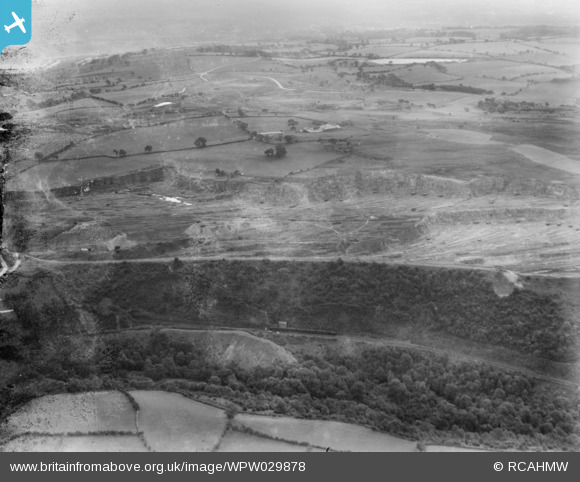 View of Brecon and Merthyr Railway under Morlais Hill, oblique aerial view. 5"x4" black and white glass plate negative. 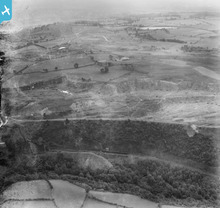 Title [WPW029878] View of Brecon and Merthyr Railway under Morlais Hill, oblique aerial view. 5"x4" black and white glass plate negative. Morlais Tunnel Junction Signal Box with a passing down passenger train. Unfortunately I can not make out much detail to tell if this is a train from Abergavenny or from Brecon. We do know that it is bound for Merthyr. 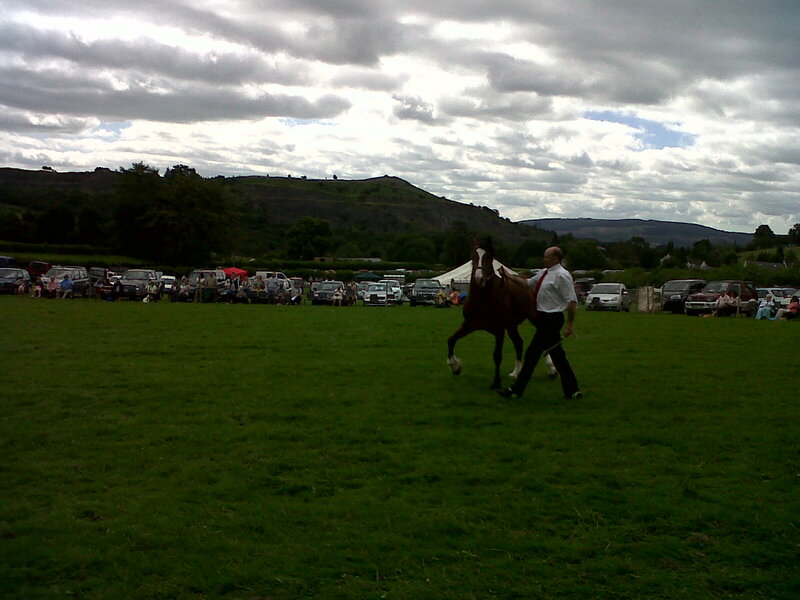 View from Maes-y-Faenor looking south towards Morlais Castle on Saturday 10th August 2013 during the Vaynor Agricultural Show. Dear Chelsea61 and Class31, thank you very much for contributing to this image, we have looked into the issues you raised and I'm happy to say that we have now amended the label and NGR reference to show the Brecon and Merthyr Railway. Thanks again for your continued support. The GKN Dowlais works might just be in this image which mainly feature Morlais Hill Near Dowlais. The map reference given is about 24 miles away in Cardiff which is a clear error.